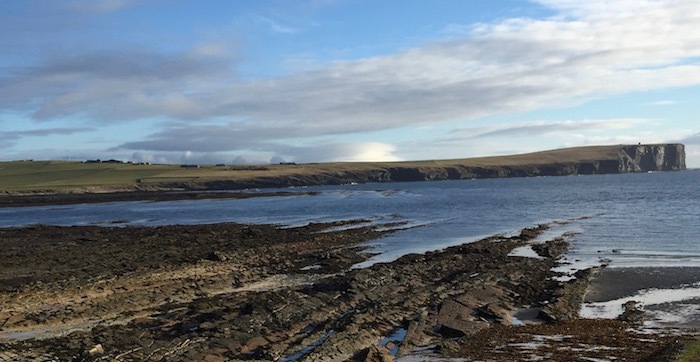 In Orkney, this coming Sunday, Marwick Head will be the first viewpoint for Robin Barr's Fit as a Fiddle challenge to raise funds for MIHC Scotland. This link: https://uk.virginmoneygiving.com/charity-web/charity/displayCharityCampaignPage.actioncharityCampaignUrl=Fit_as_a_Fiddle_Challenge_2018 provides full details of this charity venture. This includes details for supporting Robin in raising funds for musical events to take place in centres for children/adults with additional needs, care homes, hospices, and hospitals throughout Scotland. Robin will be accompanied by Leslie Burgher, Chair of the world renowned St Magnus Festival. Tom Weir's walking stick and famous red hat will also be accompanying them as they leave from Palace, Birsay. 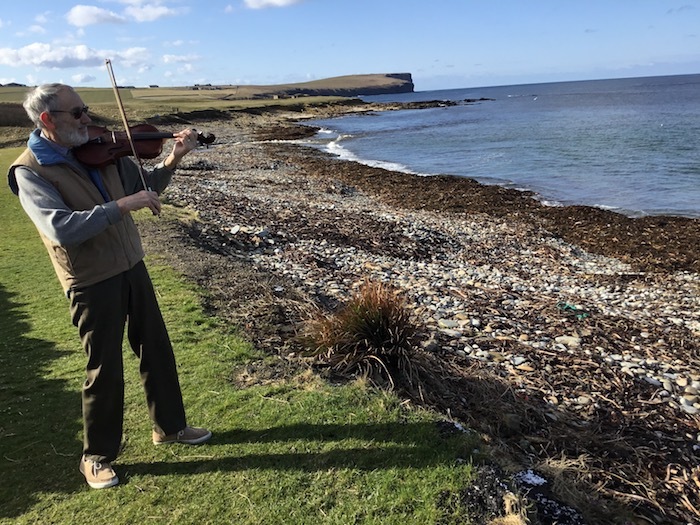 You can also listen to Robin's interview with Cameron Stout on Radio Orkney which was broadcast on Tuesday (8th May) and where Robin's fiddle tune (a Scottish Hornpipe) for Marwick Head plays out the programme. We will be posting further blogs about his walks, his chats with his walking partners (Yes, the stick and hat may have comments to add!) and the fiddle tunes he composes for each of the 7 walks. You can also check out the MIHC Scotland and their FaceBook and Twitter pages for photos and updates. We will also be providing updates and photos of all 7 walks on this blog over the summer.